If carrots aren’t appropriate for Easter, I’m not sure what is. I mean, what Easter bunny doesn’t want a carrot here or there? I have recipes for carrot cake and carrot cake cupcakes in my arsenal but I did not trust myself with a cake or cupcakes sitting around whistling at me from the other room. 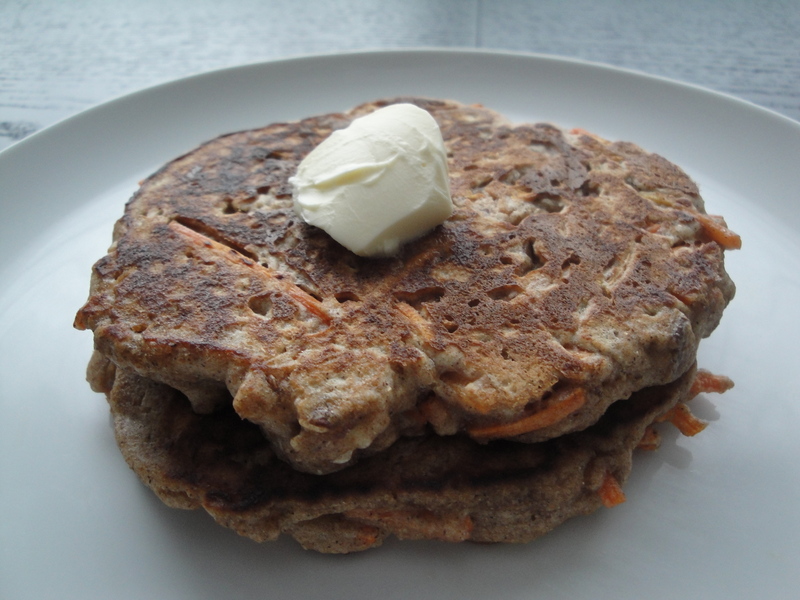 I was so happy when I found this recipe for Carrot Cake Pancakes in my files that I’d completely forgotten about. 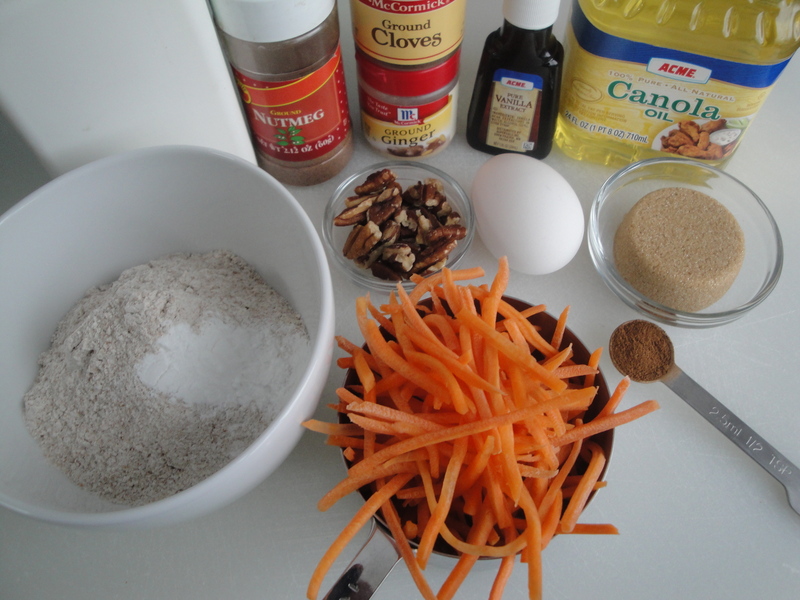 What a perfect way to get that carrot cake flavor without all those calories? Granted, these might taste better if they are smothered in rich, cream cheese frosting, but they tasted pretty good with just a little butter and syrup. 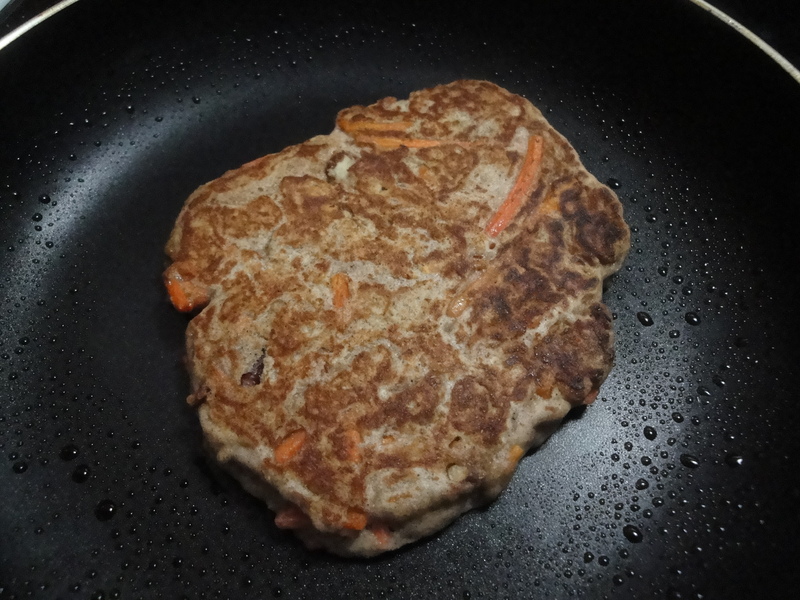 With walnuts, cinnamon, nutmeg, and ginger, these are fun and festive pancakes that would make for a great Easter morning breakfast. 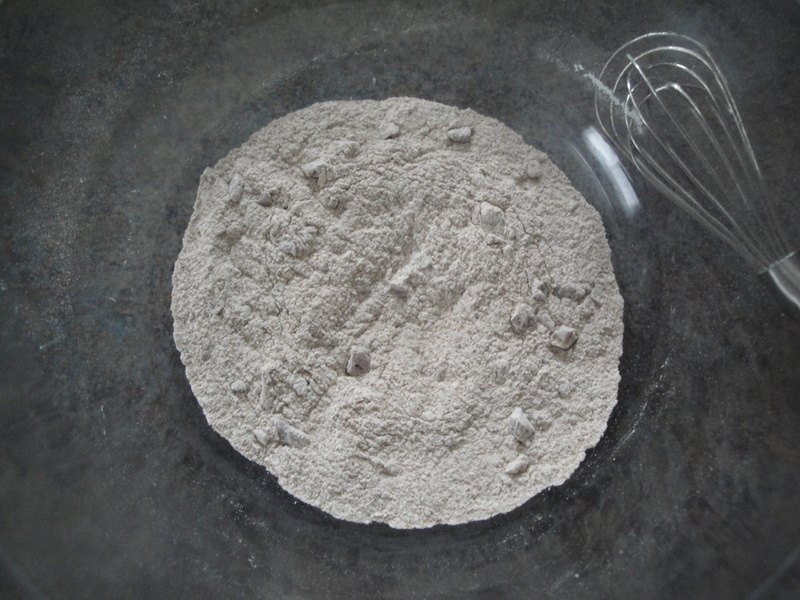 Combine flour, walnuts, baking powder and spices in a large bowl with a whisk. Combine 1/4 cup brown sugar, buttermilk, vanilla, oil, and eggs in another bowl. 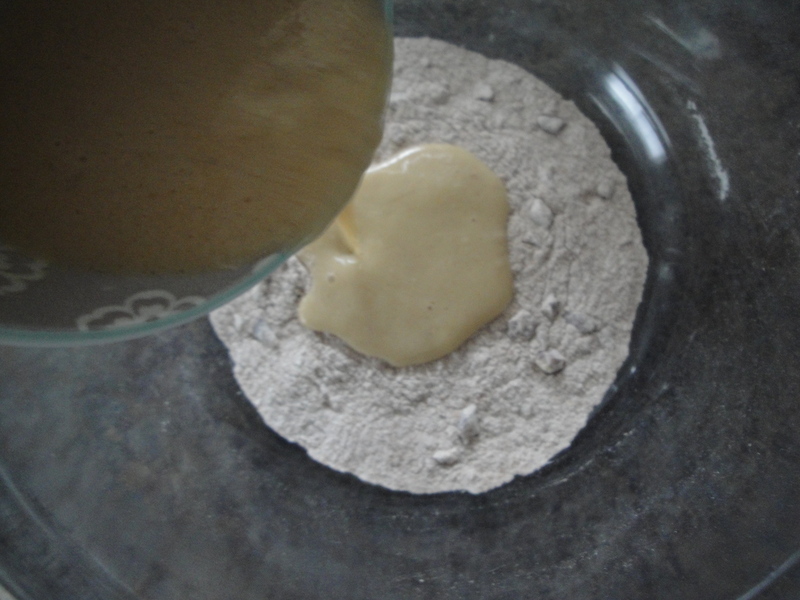 Add brown sugar mixture to the flour mixture, stirring just until moist. 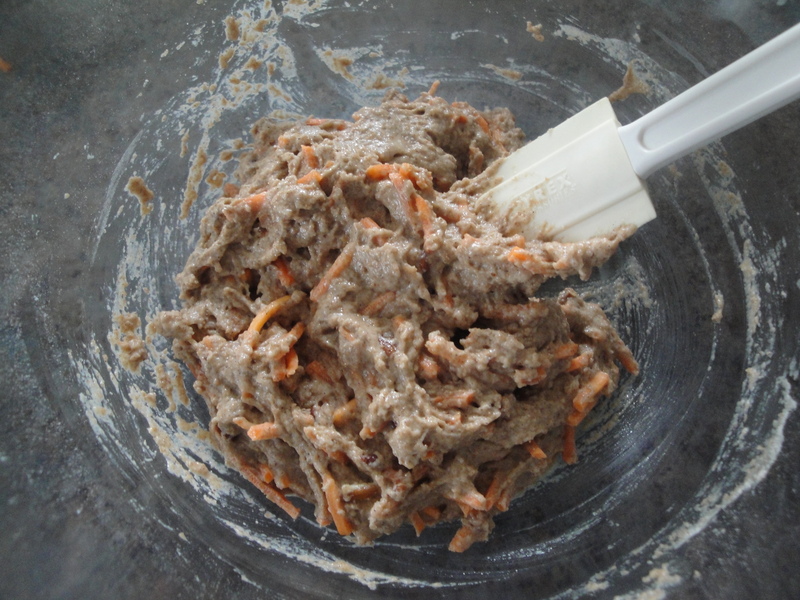 Fold in 2 cups carrot. Heat a large nonstick skillet over medium heat and spray with cooking spray. 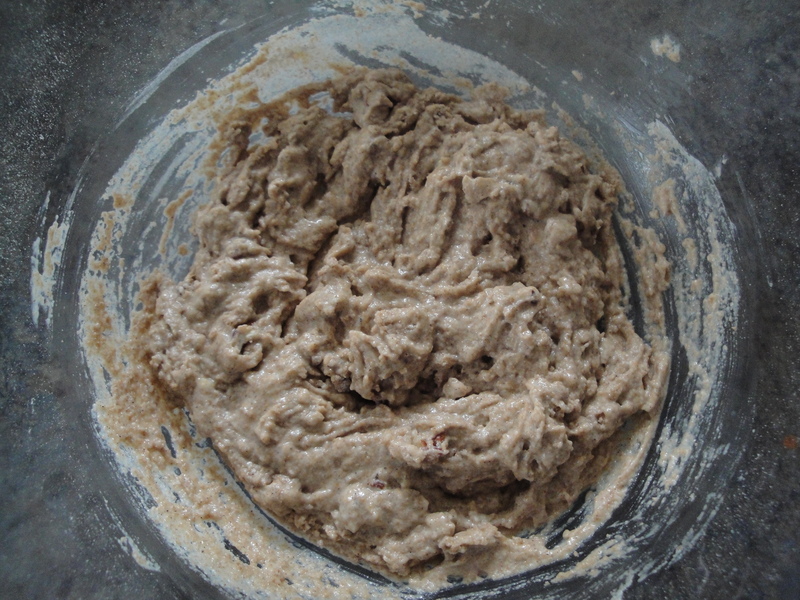 Spoon batter into the pan and spread with a spatula. Cook for 2 minutes or until edges look cooked. 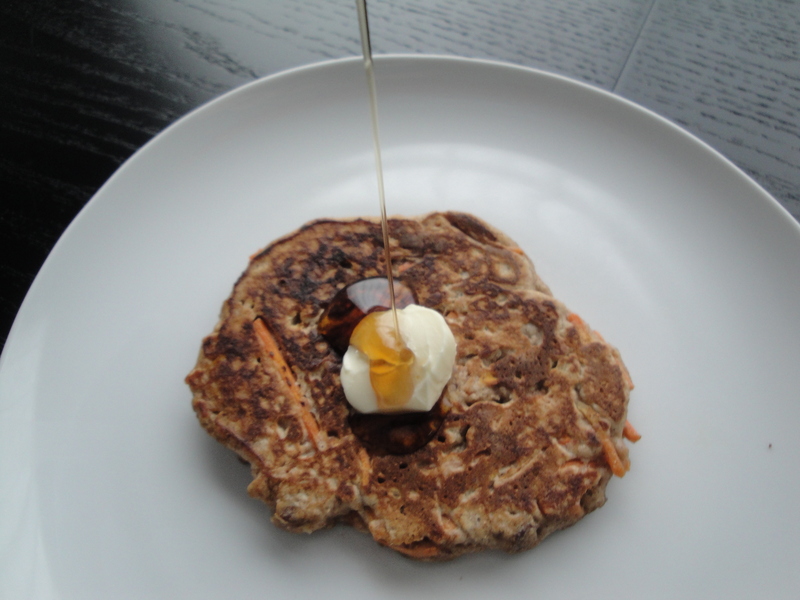 Turn pancakes over and cook for another minute or until bottoms are lightly browned. i know what I’m going to do this weekend now! those look delicious! !